Get your blood pumping and your legs moving with this simple yet effective rehab device. 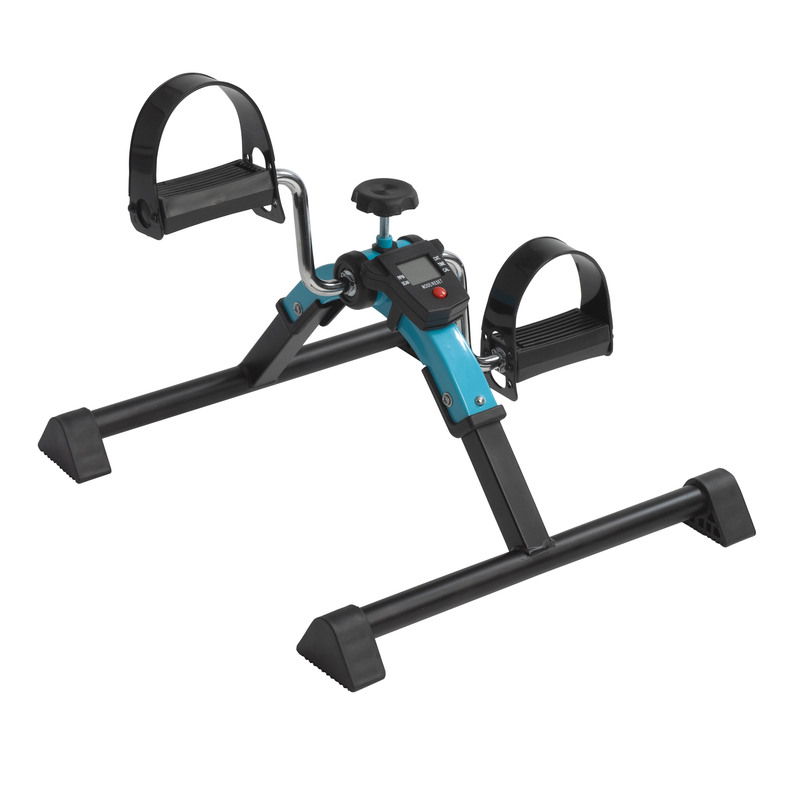 The Folding Exercise Peddler with Digital Display from Drive Medical provides excellent low-impact exercise with adjustable tension that lets you set the ideal difficulty level for strengthening your legs or arms and improving circulation. The unit's five function display tracks the progress of your workout. The Peddler's anti-slip feet keep it firmly in place and the attractive blue unit folds easily for transport and storage.